This idea comes from Jimthecarver at Lumberjocks. 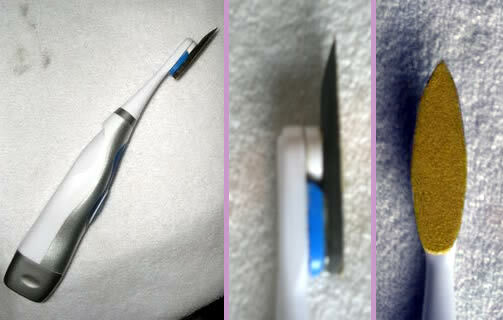 He uses self-adhesive sandpaper on old battery operated tooth brushes. Some of these toothbrushes have rotationally oscillating heads and some oscillate front to back. Either way, they can be a useful tool for sanding in tight spaces. This is a great example of re-using and re-purposing a tool. When they get too scuzzy to be used on your teeth anymore, trim the bristles off with a knife or razor blade, then stick the sandpaper down to one of the moving parts. 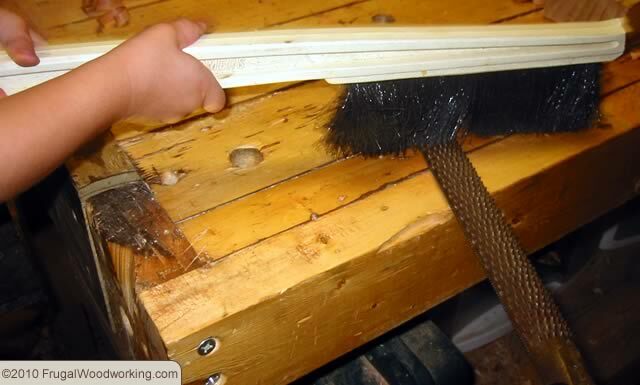 To add a bit of control, it is best to epoxy a piece shaped wood or plastic to one of the moving parts. That way the sandpaper is fully supported. Many of the toothbrushes have exchangeable heads so you can prepare a few different shapes that suit your detail sanding needs. There are a couple of tutorials on making similar toothbrush detail sanders, this one using double sided tape and this one using sanding sponge.